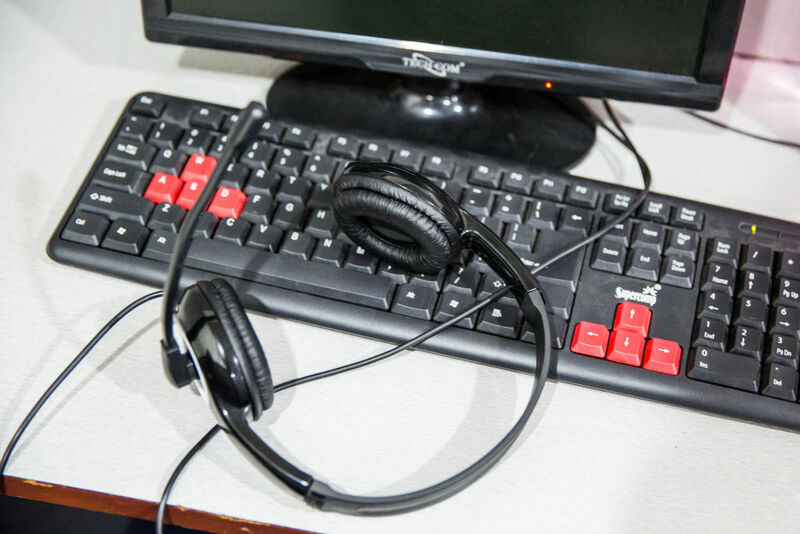 Enlarge / A headset sits on a keyboard at the Avise Techno Solutions LLP call center in Kolkata, India, on Sunday, Dec. 24, 2017. Years into the robocalling frenzy, your phone probably still rings off the hook with “important information about your account,” updates from the “Chinese embassy,” and every bogus sweepstakes offer imaginable. That's despite promises from the telecom industry and the US government that solutions would be coming. Much like the firehose of spam that made email almost unusable in the late 1990s, robocalls have made people in the US wary of picking up their cell phones and landlines. In fact, email spam offers a useful analogy: a scourge that probably can't be eliminated but can be effectively managed. Still, it's doable. Comcast and AT&T demonstrated the first cross-carrier call with the authentication check in March, and other carriers like Verizon have announced that they'll implement the protocols. An FCC official told Wired, though, that it will take time for the process to trickle down to every small and medium-sized provider. The agency has recently pressured large carriers to make the initial investment. FCC Chairman Ajit Pai specifically threatened“regulatory intervention” in February if carriers don't adopt STIR and SHAKEN. This cat-and-mouse game has been playing out all along. For example, in response to apps and carriers getting better at flagging suspicious calls, robocallers upped their volumes and embraced tricks like same-area code spoofing and aping real organizations' phone numbers to make calls look legitimate. The FTC offers basic recommendations for consumers looking to protect themselves from the threat of robocall scams. The first is to register for the Do Not Call Registry, which, perhaps surprisingly, still exists and collects data on abusive phone numbers and call content. Adding your number to this list only cuts down on telemarketing calls, not illegal robocalls, but it's a start. You can report abusive calls you receive to the FTC here. Always hang up immediately if you answer a call that you don't recognize. And finally, consider a call blocking app, like the popular services RoboKiller and Nomorobo, both of which came out of FTC anti-robocalling incubators. Apps and services from wireless carriers or phone makers like Google can also help. Previous Article Software Update – Tesla’s Navigate on Autopilot w/o Confirmation!